Napoleonic subtext – can be found here. Thanks to Ben McPartland of The Local. 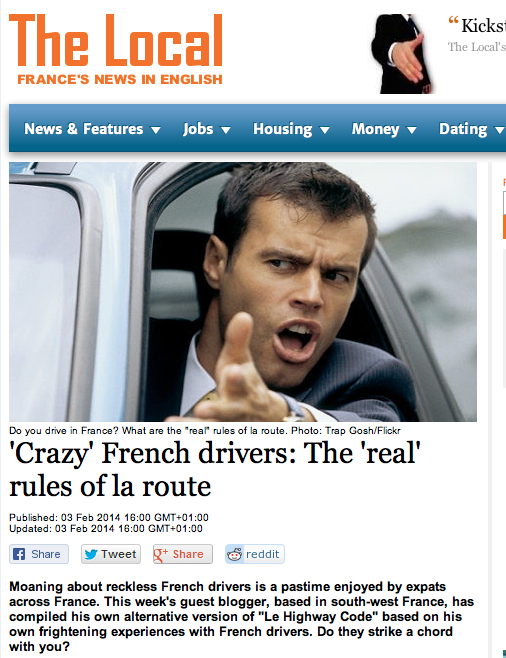 This entry was posted in Media and tagged Crazy French drivers, France, French driving, geoff holder, humour, Le Highway Code, Napoleon, rant, The Local on 04/02/2014 by Geoff Holder.